With more than 400,000,000 hearing-impaired individuals worldwide , it is evident that hearing loss is a major issue in society. The prevalence of hearing loss makes it obvious that it is necessary for an effective and efficient means of communication with the deaf community. I created a reliable translator from American Sign Language to English to help improve communication between individuals who cannot understand American Sign Language but speak English and individuals who are hearing-impaired. 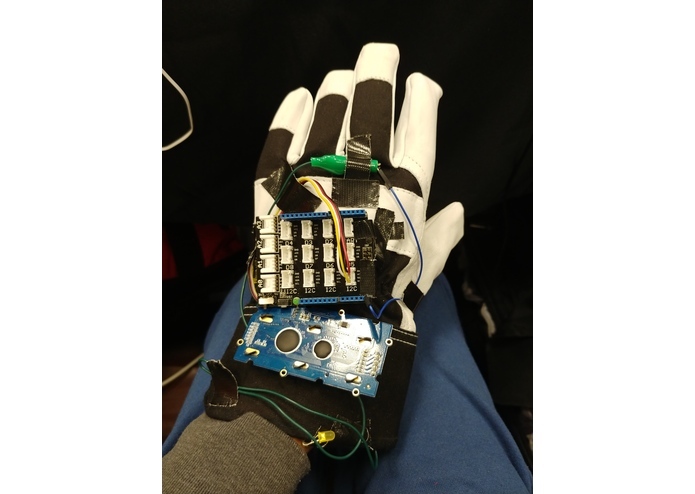 My project allows its users to wear a glove, and gesture words, letters, or numbers in American Sign Language. My application translates the gesture into English text. The project allows an individual who knows no sign language at all to communicate with the deaf. Furthermore, it can be used by the deaf community as a "sign-to-text" feature, which would be analogous to our "voice-to-text" features. After that, each term in the binary sequence is compared to key sequences in a Amazon's web database, provided by the National Deaf Association, using a MATLAB script. If the recorded sequence matches at least 80% of a key binary sequence, the result is outputted. I had some trouble minimizing the computational complexity of my database searching algorithm. With millions of entries to search through, I was having to wait close to a minute for each response. However, through research, I learned a lot about asynchronous programming, and I ended up switching to Amazon Web Services for my entries. Now, there is no noticeable delay in output. This was my first time using Base Shield. I learned a lot about wiring them in the process. Furthermore, this project was extremely math-intensive. I am proud that I managed to get the project to work in time without error. Unfortunately, I was a one-person team, so I was not able to add all of the features that I wanted in the time I had. 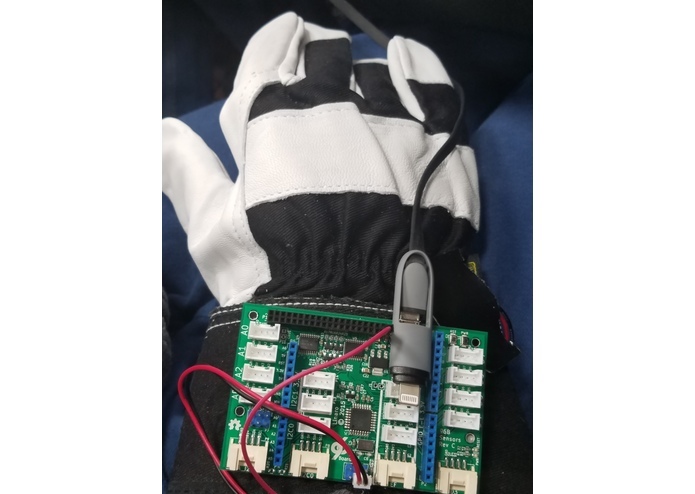 In the future, I would like to make the glove wireless via Bluetooth. Additionally, there is currently a ~3% margin of error (approximated using 10,000,000 MATLAB simulations). I would like to minimize this as much as possible. Lastly, a feature that reads the text aloud after translating it could be beneficial.